Este tiempo verbal se usa para expresar una acción que se estaba realizando en un momento o en una fecha determinada en el pasado. En este tiempo verbal se debe usar el pasado del verbo To Be (WAS /woz/, o WERE /we:r/) más el gerundio de un verbo principal. Las expresiones de tiempo que normalmente se usan con el pasado contínuo son aquellas que indican una hora exacta en el pasado, como at 10 o´clock this morning /at tén oklók δis mó:niη/, at midday last Sunday /at míddei lá:st sándi/, etc. También son importantes las expresiones compuestas por When + SUBJECT + Past Tense como When I got home last night /wen ai got hóum la:st náit/. Ex. 3. Ask questions using question words like Who, Where, What, How, etc. In each case, the underlined part must be the answer to your question. Ex. 5. Answer the following questions in English. Give complete answers. Ex. 6. 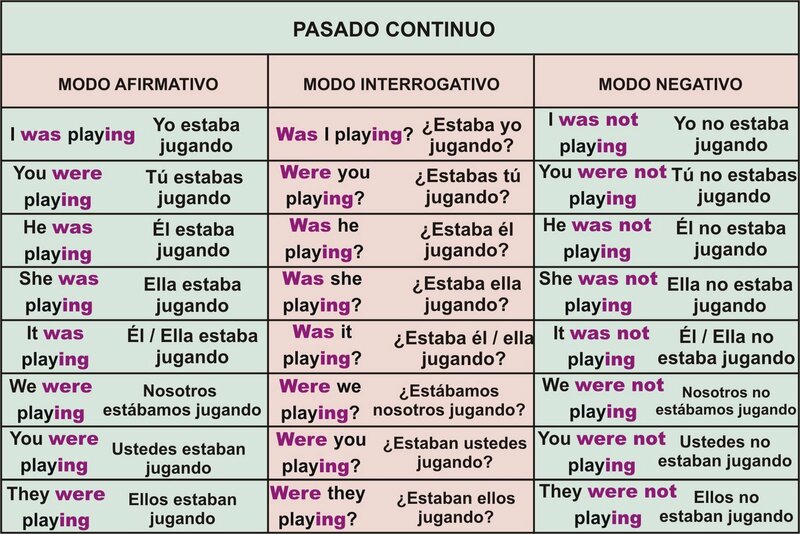 (Review) Fill in the blank spaces using the verbs provided in the appropriate verb tense. You must use either the Past Simple or the Past Continuous Tenses only. 11. Mr. Johnson ______________________ in New York when he _____________________chairman of the company. Ex. 2. 1. She wasn´t having… / Was she having…? 2. We weren´t running… / Were we running…? 3. The soldiers weren´t doing… / Were the soldiers doing…? 4. Alice wasn´t making… / Was Alice making…? 5. The children weren´t watching… / Were the children watching…? 6. The men weren´t going… / were the men going…? 7. The boys weren´t studying… / Were the boys studying…? Ex. 3. 1.What were they doing in the park at midday? 2. What was Mary eating in her room? 3. Why wasn´t Peter working? 4. Where were the generals working? 5. What were you doing when I called you up this morning? 6. Why was Mrs. White lying on the sofa? 7. What were the soldiers doing when it began to rain? 8. What was Bob doing when the fire started? 9. Where were they living when the war broke out? 10. How many people were standing outside the building? Ex. 4. 1.They were playing bridge at that time. 2. I wasn´t sleeping when they arrived. 3. John and his friends were watching TV at that moment. 4. When I arrived, everyone was talking. 5. What were you doing at that time? 6. Why weren´t they working that day? 7. Where were your parents living when they met? 8. What were you doing at this time yesterday? 9. I was listening to the news at that moment.